My educational background is in psychology and the behavioral sciences. Upon earning my degree I wanted to try teaching ESL, as it had interested me for a few years. I love teaching and consider this to become my life-long career. I love teaching but I also love psychology and find ways to bridge the two areas (which is fairly easy). Yesterday, I was reading a book about language learning and cognition disorders, and it made me wonder about learning disorders that are prevalent among ESL students. I’ve had a few students in the past where I had my suspicions about their learning capabilities – whether it was just a lack of motivation or if there was some other underlying problem. 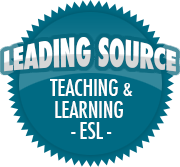 What language learning and cognition disorders are commonly found among ESL learners compared to non-ESL learners? How prevalent are these disorders across age groups? Are certain ethnicities more susceptible than others for specific language and learning disorders? How do these disorders affect the child’s ability to learn their native language? According to the National Joint Committee for Learning Disabilities, learning disabilities are a heterogeneous group of disorders manifested by significant difficulties in the acquisition and use of listening, speaking, writing, reasoning or mathematical abilities. The specific causes of learning disabilities are not clearly understood, however, these disorders are presumably related to central nervous system dysfunction. The effects of a learning disability are manifested differently for each individual and can range from mild to severe. Learning disabilities may also be present with other disabilities such as mobility or sensory impairments. Often people with Attention Deficit Disorder also have learning disabilities. In the US, the UK, Canada and other English-speaking countries, language learning and cognition disorders in children are easier to recognize for teachers because there is no language barrier involved. For ESL teachers though, it’s harder for them to spot such disorders if their students have them. I’m curious to know how prevalent these disorders are among Korean students and if anything is done to help them overcome their learning impairment. I’ll have to do some research on this topic (which, oddly enough, I enjoy doing) and write about it. This will be informative for both you and myself.